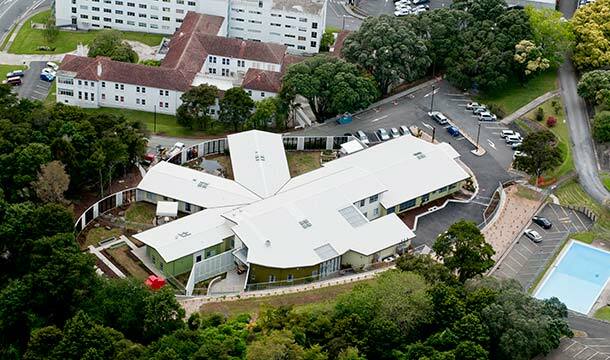 Completed in late 2011, Tumanako – the Mental Health Inpatient Unit at Whangarei Hospital supports the delivery of mental health services in the Northland region. 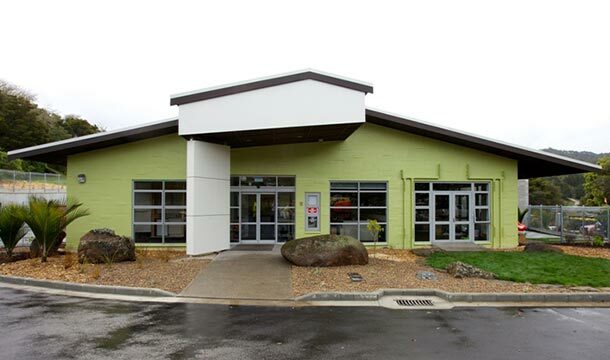 The Northland District Health Board (NDHB) operates within a challenging environment, with a population that is sparsely dispersed over the district and with three times the national average living rurally. Any solution needed to take these challenges into account. NDHB is expanding mental health services to meet this need through the development of a new model of care which provides access to high quality acute (inpatient) services that aid recovery, in the least restrictive environment possible. One of NDHB’s primary roles is the improvement of the health status of its people within its community. This will be achieved through greater access to health care, reduced waiting times, development of admission prevention strategies and appropriate co-location of services. NDHB’s investment in the new Unit is targeted at improving all of these outcomes. As a modern facility utilising efficient plant and systems, its value also lies in reduced operating costs. The outward looking hub and spoke design supports staff and patient care due to high visibility, improved communication and more community and shared spaces. Good observation allows staff to be more effective in patient care, while reducing the need for cameras and mirrors. 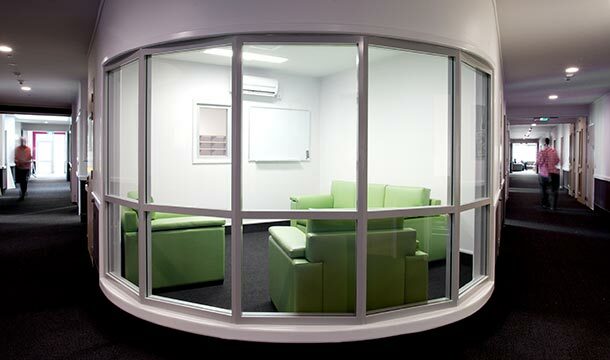 The efficient organisation of spaces means sections of the building can be progressively closed down when not required. It also enables activities to be concentrated in certain areas, making effective use of staff resources. The 2,200m2 unit sits among native trees in the north western corner of the Whangarei Hospital campus. The building and surrounding outdoor facilities were positioned on the site to take advantage of the site topography and nearby existing Hospital amenities. The facility has 25 beds, with a flexible configuration for male and/or female patients. There are two seven-bed adult wards, a four-bed elderly ward and four-bed child and youth ward, plus an intensive care area. Chosen by the Kaunihera (Council of Elders) and approved by the NDHB Board, the name Tumanako means the hope, wish and desire for wellness.